Voutilainen will introduce a new version of its second time zone chronometer at Baselworld, a limited edition with an unusual dark green dial with red accents, in a 12-piece limited edition. 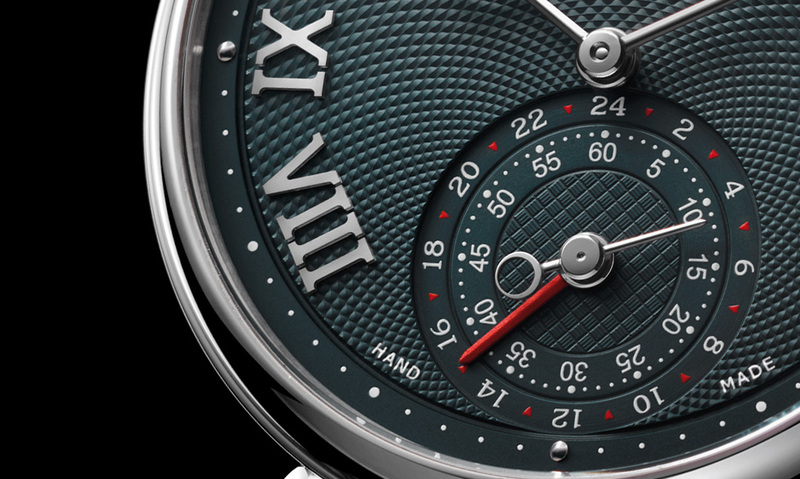 Based on the Vingt-8 chronometer, the Voutilainen GMR features a second time zone display at six o’clock, concentric with the sub-seconds while a power reserve sits at 12 o’clock. Made of solid silver and engined turned by hand, the dial has a galvanic coating in a very dark shade of green, with red accents. The unusual colours on the dial are a result of the an expanded capacity to produce dials, especially in novel colours and styles, after Voutilainen acquired a dial manufacturer last year. According to Voutilainen, such unusual dial combinations, particularly with coloured accents, hands or indices, will be more commonplace in the future. 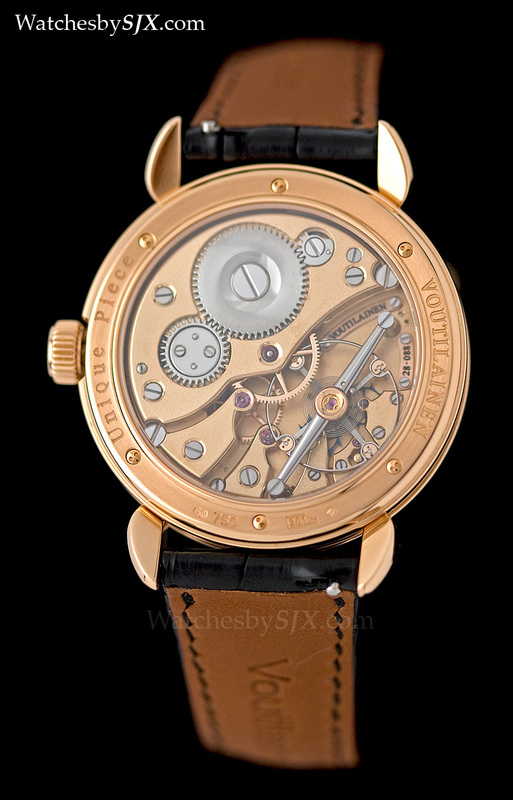 A variant of the second time zone movement based on the Vingt-8 calibre, the GMR movement is made up of 250 parts. 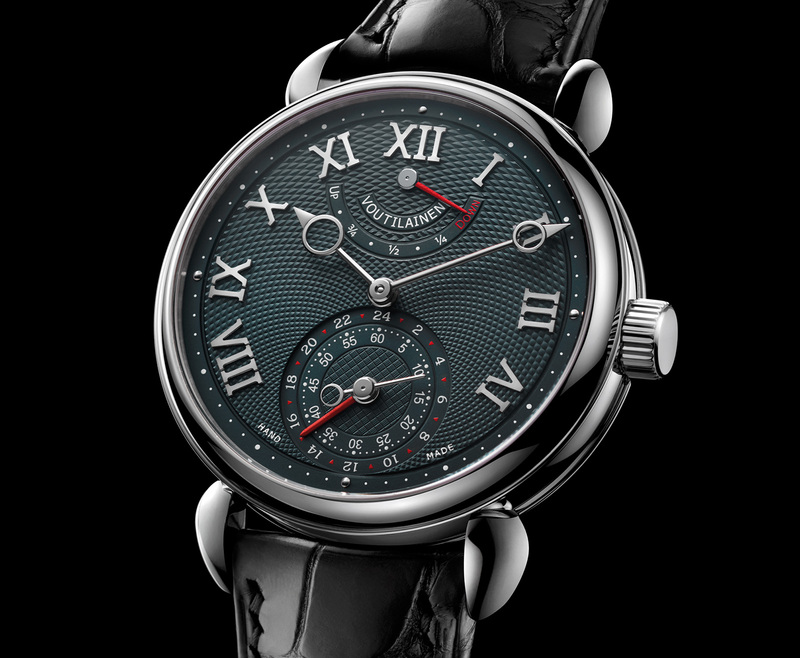 Voutilainen developed the second time zone function in-house; pushing the crown advances the second time zone hand by an hour. The case is 39 mm, available in white or rose gold, or platinum. Only 12 pieces will be made in all metals. The GMR is priced at 118,000 Swiss francs in platinum and 108,000 Swiss francs in gold.